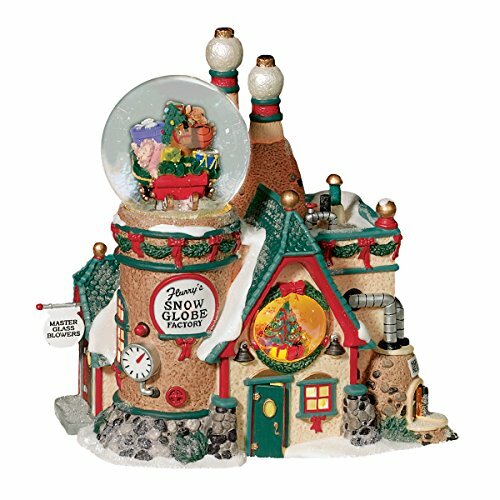 "Flurry's Snowglobe Maker" is a lighted porcelain building that features a hand-painted finish. The intricate details include two snowglobes, one above the door and a second on the tower. The North Pole Series is designed and manufactured by Department 56.